I went to England, where I attended Amanda's art event, and saw her band's first real public amplified gig. 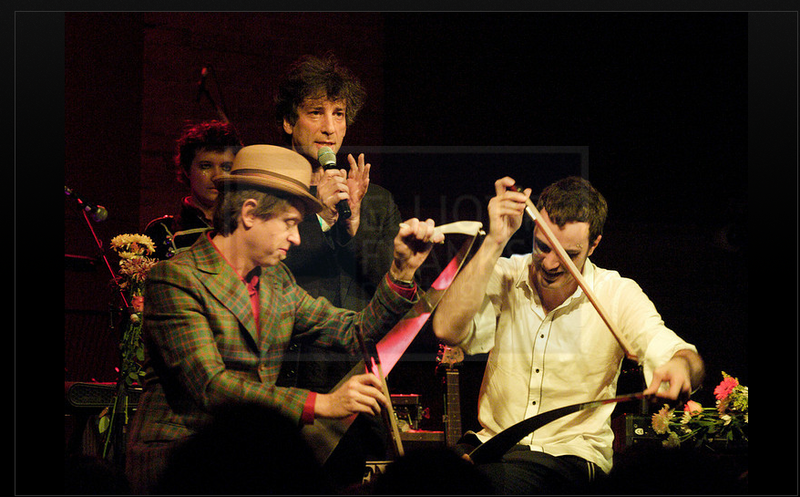 (I sang Leon Payne's "Psycho" between two duelling musical saw players.) We went from there to Utrecht to celebrate the wedding of Amanda's sister Alyson, and to spend time with my milliner daughter, Holly, who has just completed her Higher National Diploma in Millinery, and is no longer a 'prentice Milliner. Waiting for me when I got home were some fold and gathers (or F&Gs) of Chu's Day - unbound copies that will go to booksellers and librarians and such people who will decide what they are ordering and how many copies of a book that has not been printed. 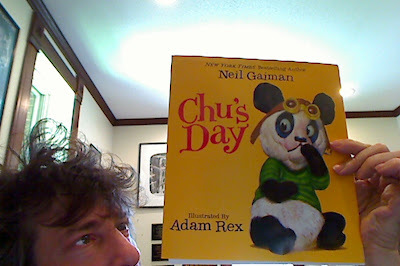 Chu's Day is the first book I've ever written for really little kids. Ones who cannot read. Ones who can only just walk. Those ones. I hope that they like it, or at least, that they love Adam Rex's amazing illustrations. 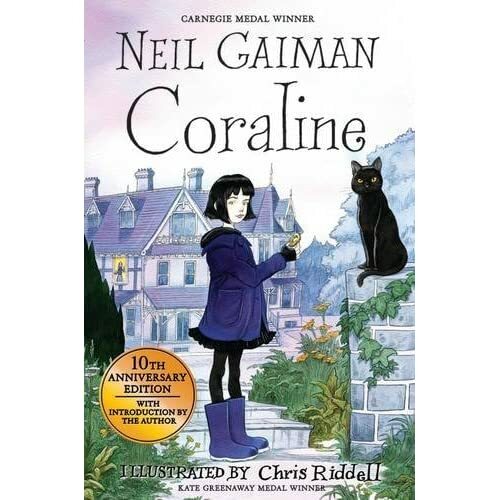 This is advance warning that on Friday the 29th, at 8:30 am UK time, Tickets for the Edinburgh Book Festival go onsale. I'm strangely jet-lagged right now... I was writing this and suddenly the world went all flat and odd, which means, I suspect, that I should stop writing now and either go for a run or go for a nap.